After a somewhat abortive attempt to see some of New South Wales’ national parks, we decided to drive to Jenolan Caves, which Brendan had visited on a school trip as a child. I was dubious. Somewhere along the way I had spotted a poster advertising the caves, which showed formations lit in garish colored lights. It looked, well, …cheesy. But we decided to take a chance. Brendan did not remember that the final piece of road approaching the caves was narrow, winding, and barely two lanes, carved into a mountainside. We also didn’t know that the time we were arriving – late afternoon – was when the big tour buses were leaving. So we had some excitement trying to get past a bus on the road. Italians have more practice at this. 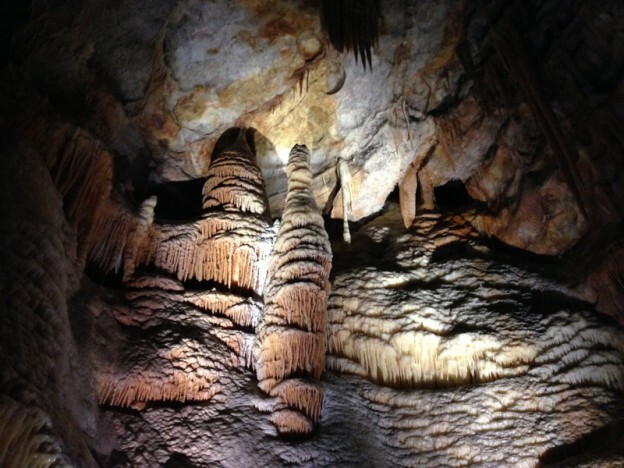 You can only visit Jenolan Caves as part of a guided tour, one to two hours per cave. We arrived in time for the last tour of the day of Chifley Cave, led by a long-time employee, John. Neither my words nor my photos can do justice to the weird beauty of this ancient limestone (340 million years – the oldest known open cave complex on Earth). You’ll just have to go see it for yourself. John did show us the room lit in colored lights, near the entrance of Chifley. He told us that they kept it to demonstrate how caves used to be lit for tourists (I remember this being the case in the US during my childhood as well), but now they use white LEDs so that you can see the beauty of the cave’s natural colors. In fact, all that we saw of Jenolan is very tastefully done, with well-designed lighting making the most of what nature has put there. We were fascinated enough that we decided to stay overnight (there are several lodging options right there at the caves) so that we could go on another tour in the morning. We were tempted to also join that evening’s tour, but it had been a long day of driving and an hour of walking and climbing lots of stairs in the caves. We opted instead for a quiet walk around nearby Blue Lake, where we saw and heard wildlife, including the resident platypus (video here). The next morning we toured Orient Cave, where I shot the video you see above which, again, can give you only a partial impression of the size and splendor. (The photo at top is also from Orient.) The tour guide you hear in this one is Ann; yes, she’s American. The “very sparkly” bit you see in the beginning of the video is fresh limestone crystal that has formed in the 60 years since the new entrance tunnel to Orient cave was dug through (causing damage that you learn about on the tour). Old as they are, these are living and growing caves. NB: This was a 90-minute tour with a lot of up and down stairs. Some parts were very narrow, and overall it was quite strenuous – my legs were sore the next day. The Jenolan Caves site lists a “fitness level” for each tour (Orient is listed as “average”); I suggest that you take that seriously! 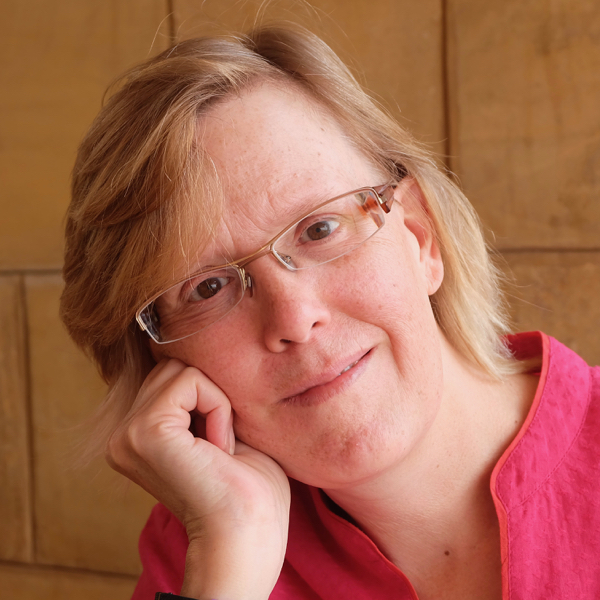 This entry was posted in travel on January 12, 2014 by Deirdre Straughan.